We are proud to announce that our whole school performance this year will be….Annie!! 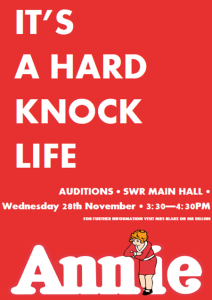 Student auditions are taking place on Wednesday 28th November between 3:30 and 4:30pm in the Main Hall. 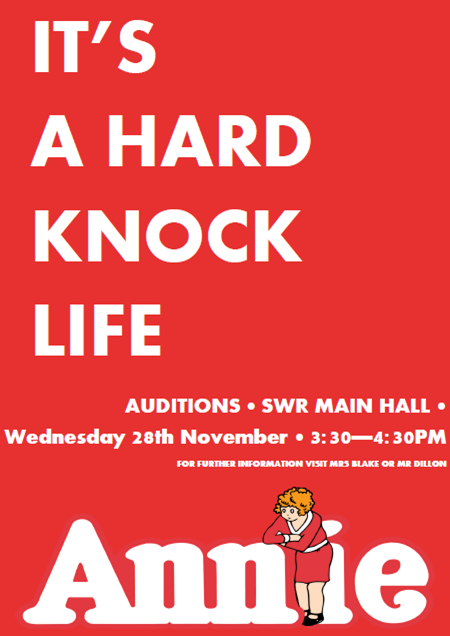 Good luck to all our auditioning students!